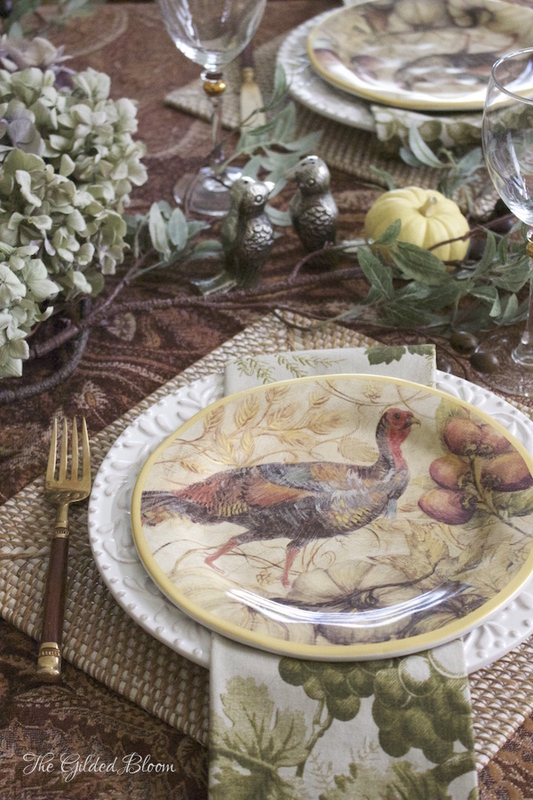 The holidays are coming fast and designing a seasonal table for Thanksgiving is always one of my favorite traditions. 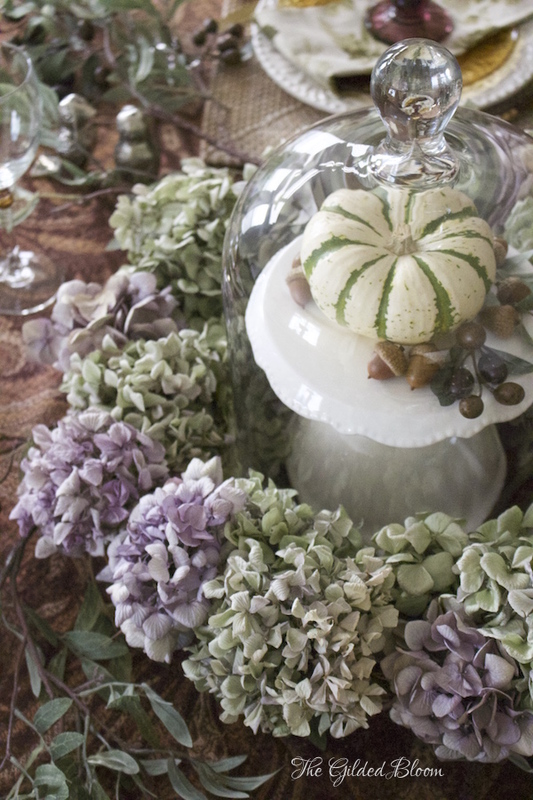 This year I created a harvest table to use throughout the fall as well as on Thanksgiving. 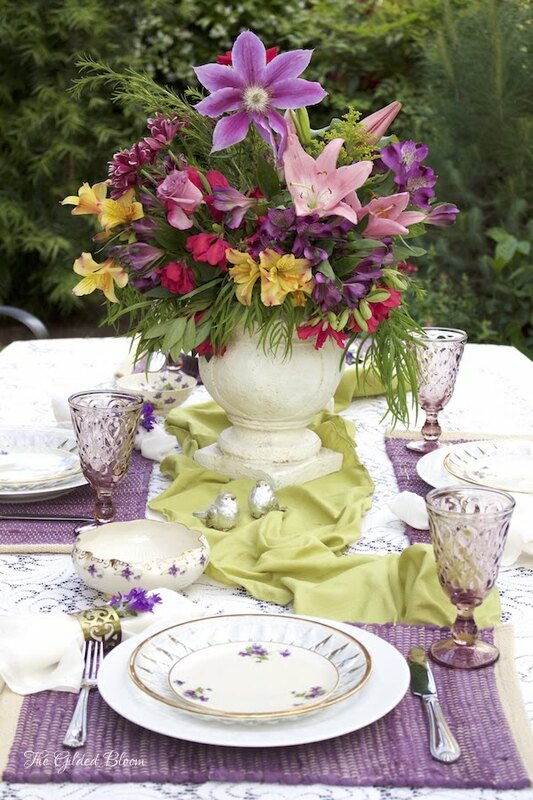 Choosing mix-and-match dishes and linens is an easy way to entertain without having to restyle the table for every dinner. 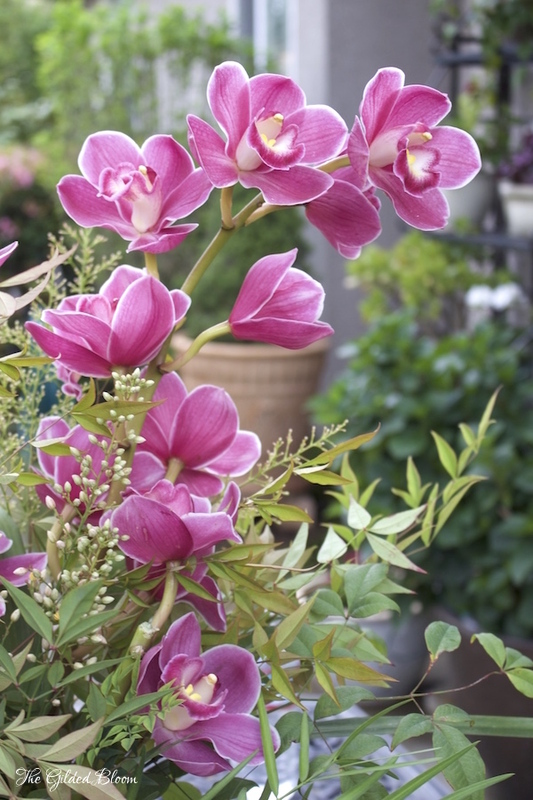 In order to accomplish this, it is best to commit to a color scheme at the beginning of the season and design a worthy centerpiece that will last. 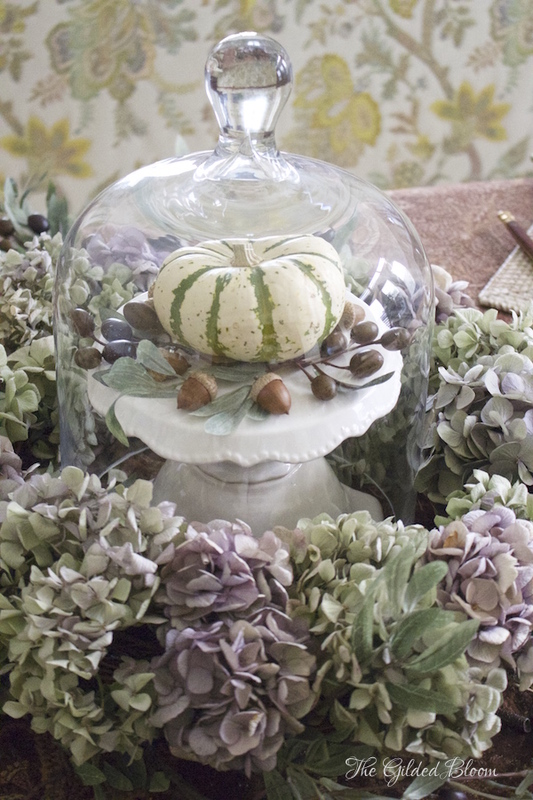 The dried hydrangea wreath made from summer blooms and a small pumpkin surrounded by acorns and olive branches is displayed on a small cake plate covered with a glass cloche for the centerpiece. To see how the wreath was made visit this post. 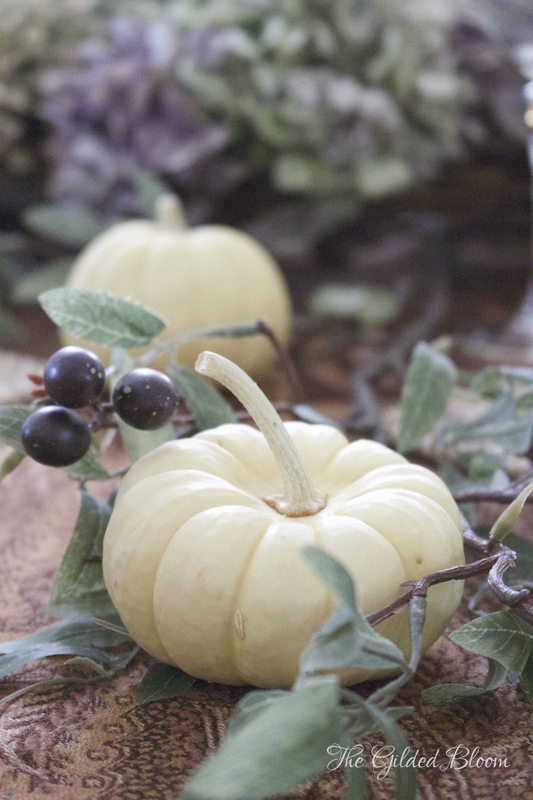 I was inspired by our recent journey to the wine country, where olive trees abound, and used olive branches with baby white pumpkins throughout the table. A cozy throw blanket that usually lives on our reading chair became the tablecloth for the season. 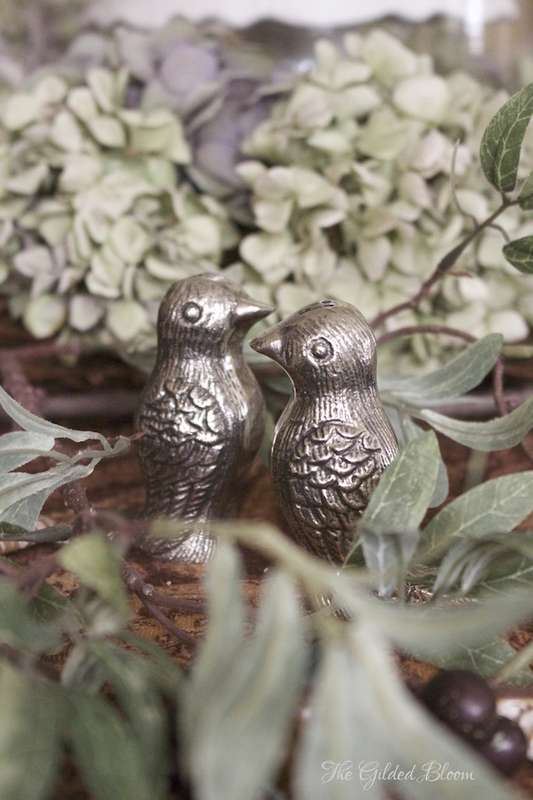 These pewter bird salt and pepper shakers are nestled into the vines and always prove to be a conversation piece. 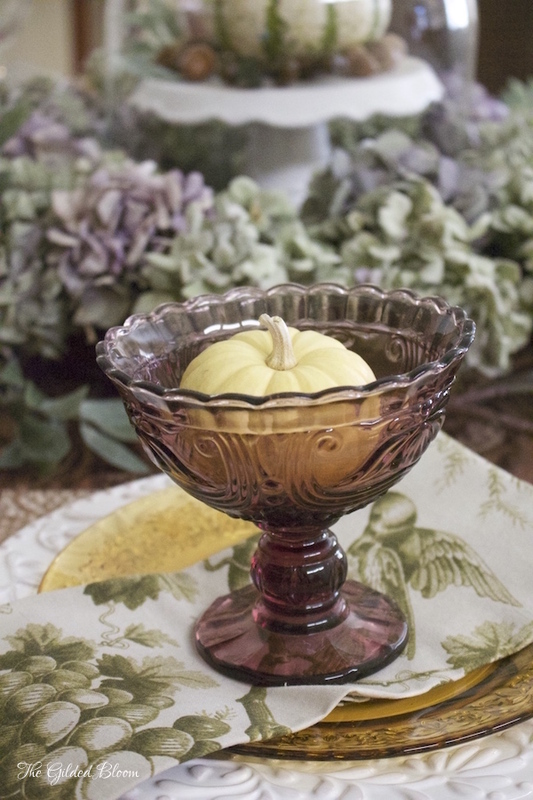 The amethyst dessert dishes I often use for fruit salads are the perfect size and shape to hold a miniature pumpkin at each place setting. 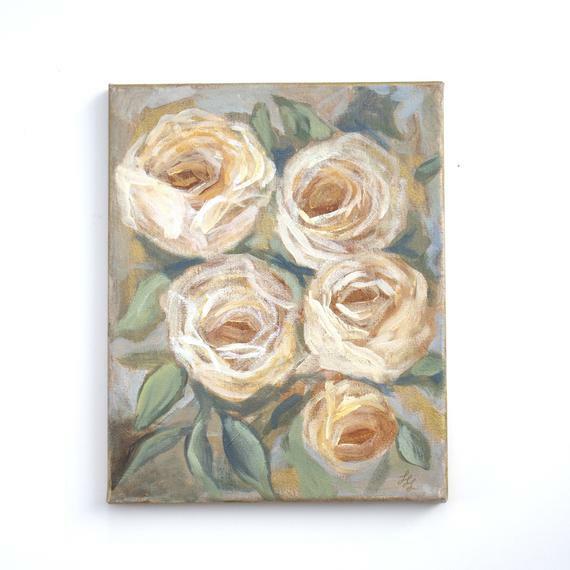 They are set on vineyard toile linen napkins, which are layered with an amber glass salad plate and a white embossed dinner plate. 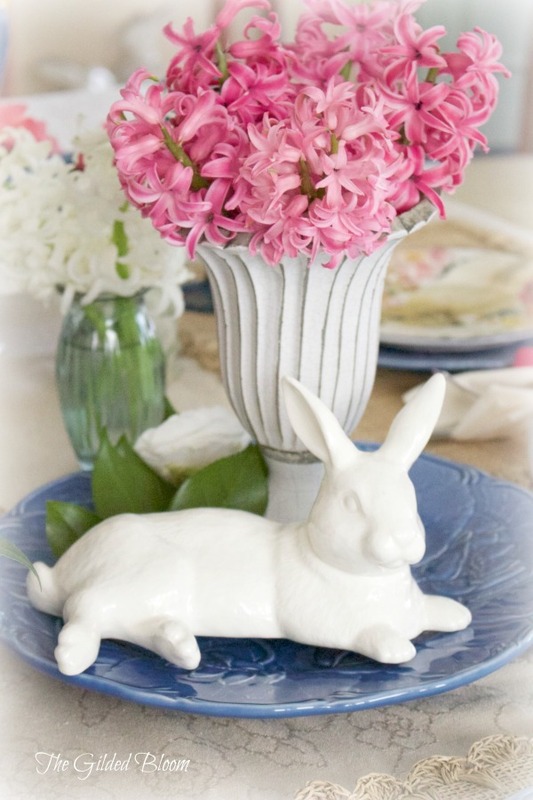 For Thanksgiving, I'll replace the pedestal dishes with the festive turkey salad plates below instead of restyling the entire table. Furniture polish works wonders on acorns to bring out their natural color and make them more decorative. 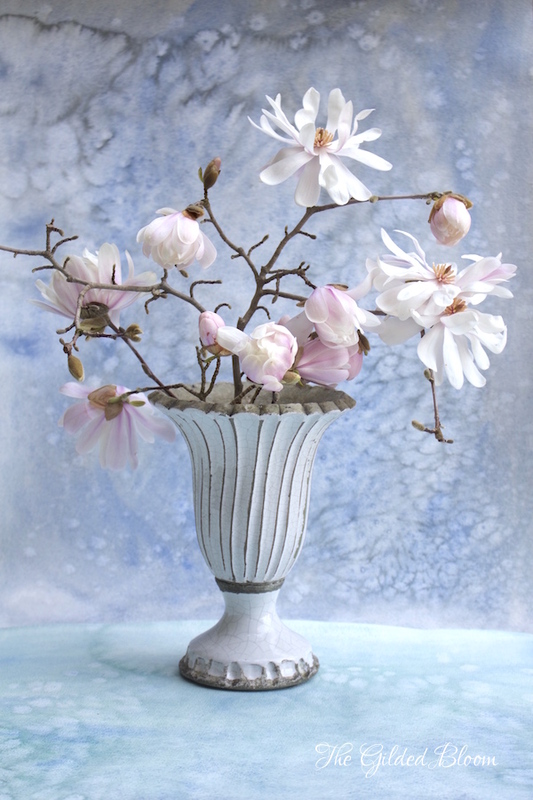 We found those used in the centerpiece while walking under oak trees. 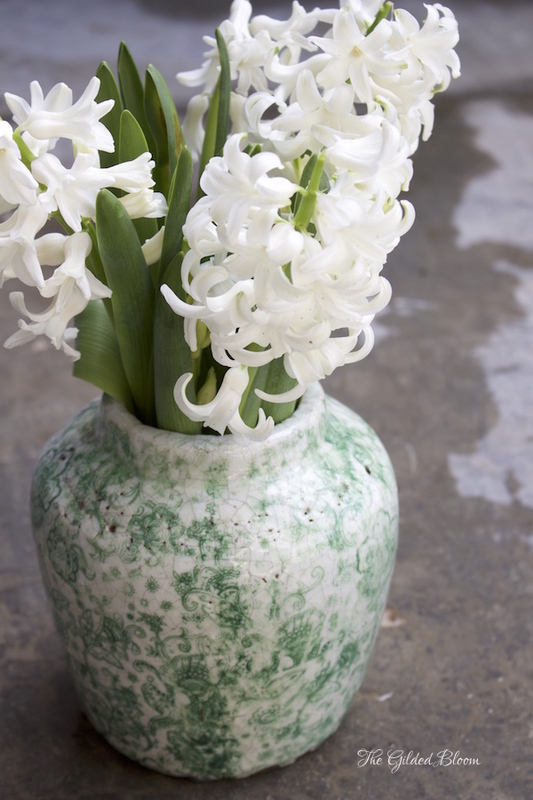 They also make beautiful autumn vase fillers and are strewn throughout the table for accent. Your table is really pretty! I love the color palette! Thanks so much Angelina. 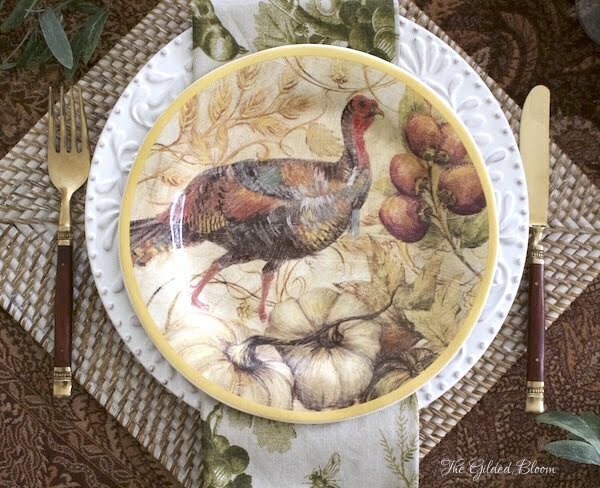 It is fun to work with an earthy color palette in the fall especially at Thanksgiving.